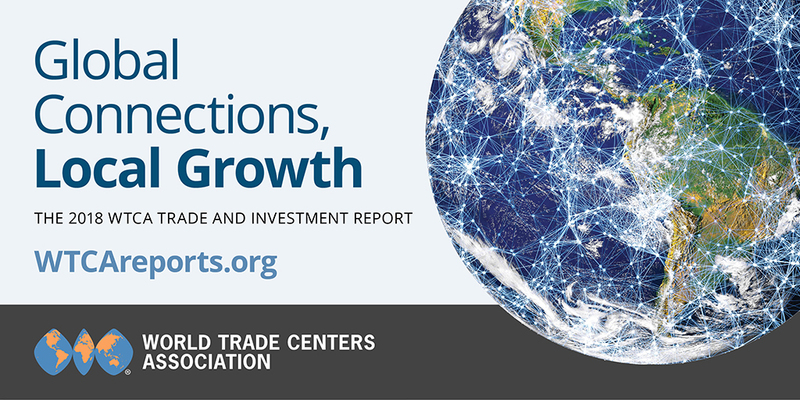 The World Trade Centers Association (WTCA) released its first official Trade and Investment Report called “Global Connections, Local Growth” in association with Foreign Policy magazine. Among many findings, the report concluded that regions with World Trade Centers on average draw foreign direct investment per capita at twice the rate of their respective countries and export goods at a rate 1.5 times greater than their national average. The report’s findings are in line with export trends observed by the World Trade Center Arkansas. For example, Arkansas’s exports to regions like the Western Hemisphere outperform the national rate of exports to the same region. The report is a city-level data analysis, including GDP, FDI inflows, exports, employment, foreign citizens, education and more. The analysis was used in conjunction with qualitative interviews with more than three dozen WTCA members and polling conducted at the WTCA General Assembly. The World Trade Center Arkansas is a highly active trade promotion member of the association’s global network made up of 319 World Trade Centers in 88 countries. These World Trade Center regions constitute more than $26.7 trillion in gross domestic product — 35 percent of global GDP — and contain 15 percent of the world’s population, according to the report. Respondents indicated in the report that the most significant driver of local economic growth and development is a collaborative network of local stakeholders accessible to local businesses. This is a model fully embraced by the World Trade Center Arkansas, which works with state business leaders and foreign and domestic government officials at the local, regional and national levels to achieve trade promotion goals. The report also found that small and medium businesses fuel local growth, constituting 50-60 percent of value added and 70 percent of jobs in member countries of the evelopment. Virtually all World Trade Centers indicated that their trade promotion services are essential to helping unlock the economic potential of small and medium businesses, which often fall behind on global engagement. The World Trade Center Arkansas primarily engages small business concerns with its trade promotion services. For more information and to download the full 2018 Trade and Investment report, visit wtcareports.org or contact Alex Brown, director of communications and member relations of the WTCA at abrown@wtca.org.